Can daleysfruit sell a pink fleshed jAkFrUiT? 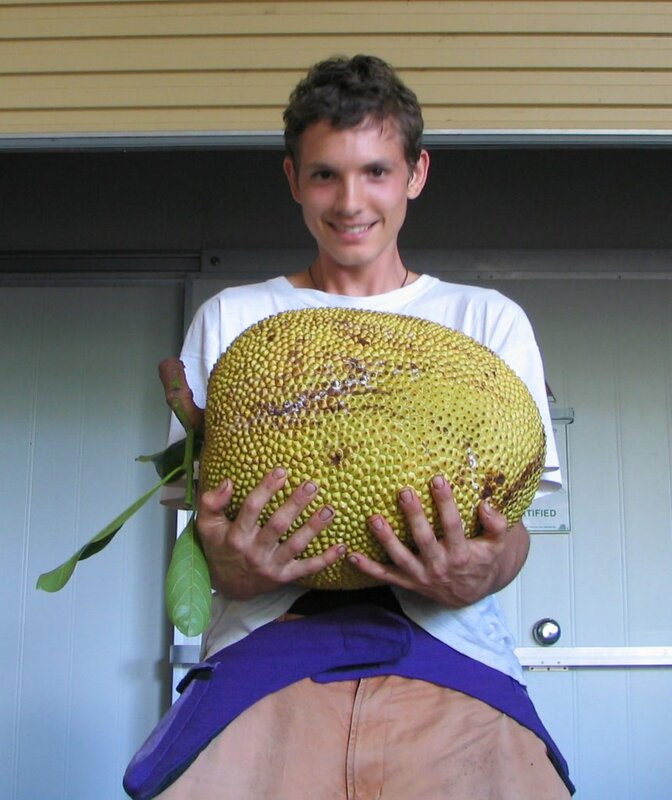 How far south ha someone fruited Jackfruit and what variety.? All mine died pitiful deaths in Blue Mts. Blue Mtns Jakfruit:what is the microclimate and conditions around the Jak. ?And is it a seedling or grafted/cutting? In my country jackfruits are all over...they are usually grown from seeds. We have several varieties of jackfruit in my country. Some can even grow up to human size. It can be spelt either way Jakfruit or Jackfruit. human size ? can you describe that more accurately?do you mean 1.8 metres long for the fruit or a jak as big as my head? Human size: Understood ! they can grow up to human asian adult weight of even over 50 KG ! There was a Jfruitgrowing at Wallacia in a burnt out nursery. Green Jade ,I think was its name . So they can take a little frost. That maybe should be a maximum 47 kg or maximum 50 kg for a Jakfruit/Jackfruit. I lived in Thailand for 2 years and they grow like weeds there. The love lots of water and mulch. I liked the rubbery variety not the soft one. A jackfruit I got from subtropical world is growing well here in Brisbane.